Will it have longevity? Does it need to? Does it have an acronym that spells something unfortunate or undesirable? Can it be confused with another name? Or does it in any way trample on another business? Once, while working with a children’s clothing company, with business cards and hang tags already printed and ads ready for publication, the founder discovered a legal issue with the name she’d chosen. It was painful lesson, but better to have been safe than sorry. In a few days we created a new name, one that was even better than the original. Problems always become opportunities. If it’s a made-up name, is it easy to pronounce? Will people feel silly or stupid trying to say it? Will it create too much mystery or is mystery what you’re after? I don’t know what Qumana does but maybe I don’t need to? There is no perfect name. Each business is different. For some, only a founder’s name will do, as with law firms. Some businesses benefit from a name that says what it does, such as Alpha Pest Control. The important thing is understanding the pros and cons of types of names and developing criteria that’s important to you. Recently, I noticed the missing letters on a Bikram yoga studio sign. 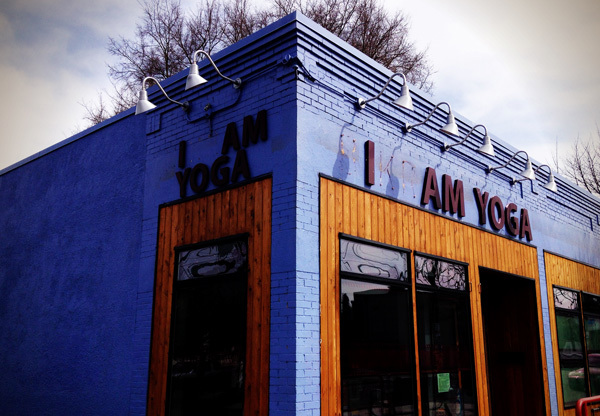 How delightful, I thought, that just the right letters fell off to spell “I am yoga.” Then I rounded the corner to see the adjacent sign and realized it was no coincidence. A Google search revealed that, in light of the recent allegations against Bikram Choudhury, this studio wanted to end its association with him. What are the odds that a new company name would be hiding inside the original?